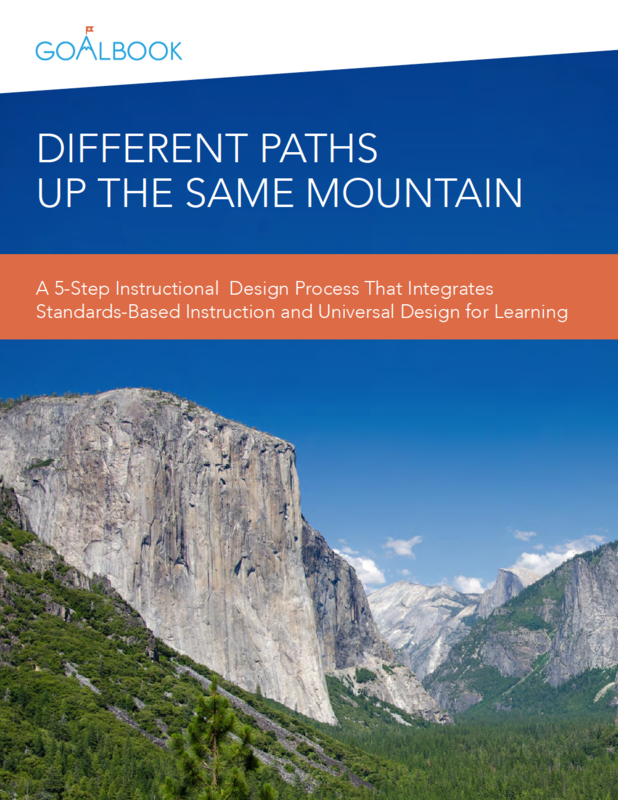 » Goalbook White Paper: Different Paths Up the Same Mountain | Success for Every Student! 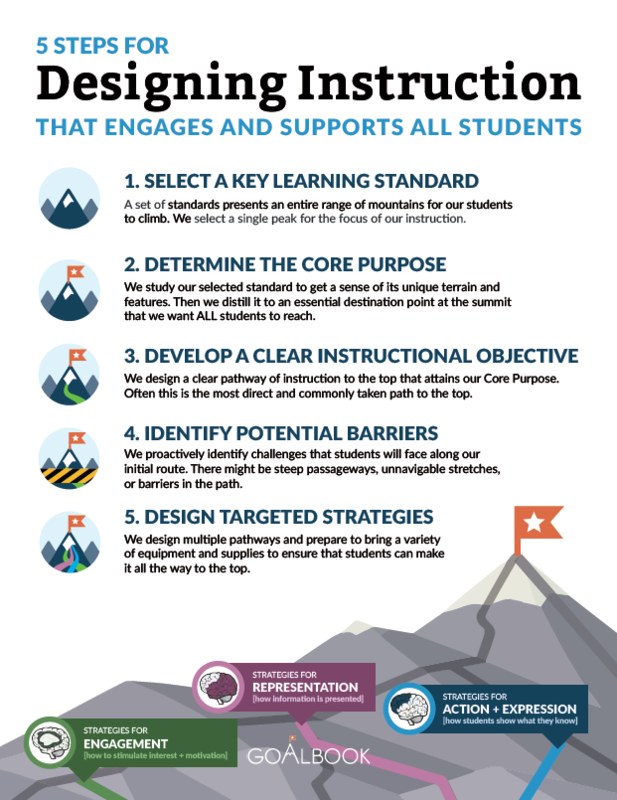 Learn about Goalbook’s process for designing instruction that both challenges and supports students at high levels of learning. Brain science continues to demonstrate that even amongst groups of students that may be described as “typical”, there is in fact great variability in how their brains process information. 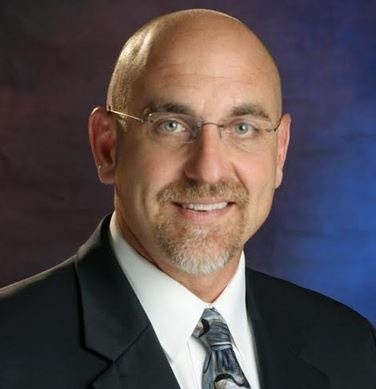 Diversity and variability is the norm—not the exception—in the US K-12 classroom. Praise for "Different Paths Up the Same Mountain"
At Oklahoma City Public Schools, we are committed to providing our diverse student population a wide range of opportunities for learning and experiences that prepare them well for the future. 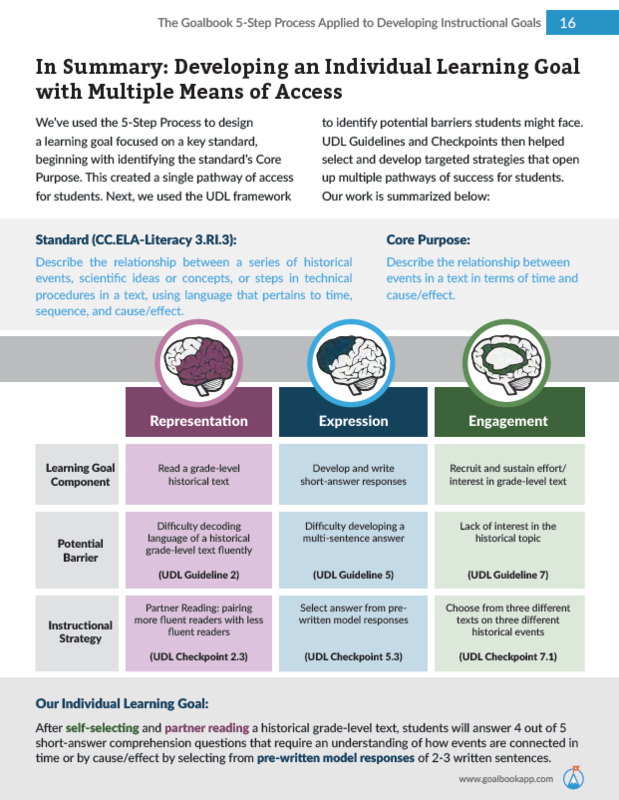 Increasing academic rigor is a central pillar of our district strategic plan. 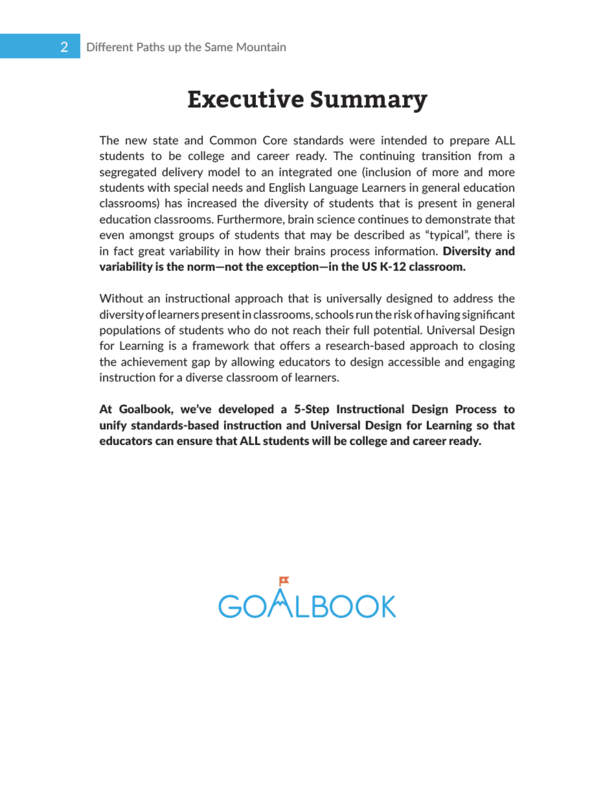 Goalbook’s white paper articulates a clear approach for how educators can design instruction that provides access to high levels of learning for all students. 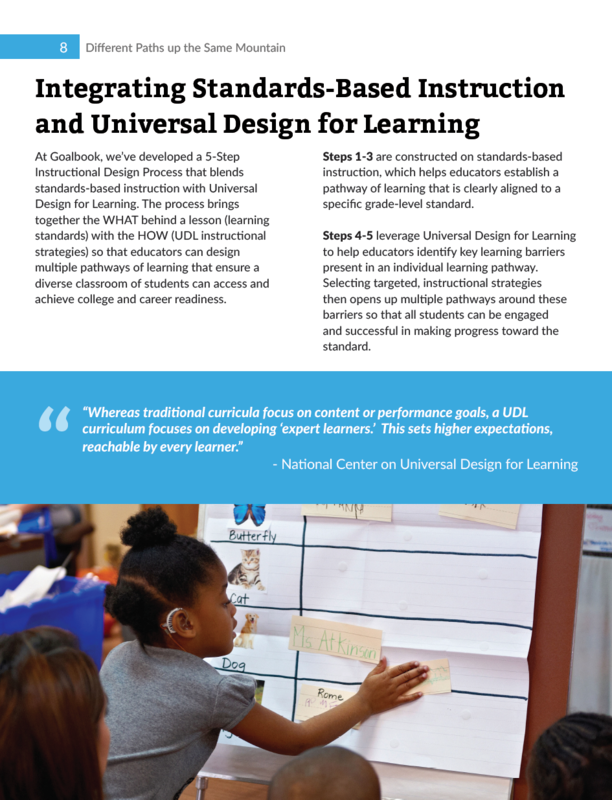 Goalbook Pathways is a school-wide program tailored to help educators design rigorous and differentiated instruction for all students.